How Do You Tell the Whole Story? Branding is, in part, about telling stories. A large part of any story is understanding the historical context. Where are you? What are you doing? Why? This goes for established organizations with their own history to tell. It also goes for a new product/company. The problem is that history is, well, problematic. My boys recently picked out a book that is an illustrated history of the world. They want to read it every night. The trajectory of the book goes from dinosaurs to cavemen to war after war after war (various enslavements, tortures, religious persecutions, etc.) to computers and people on the moon. Of course, there are moments of joy and beauty. But, when seen from a height our history looks like a series of opportunities to be terrible to one another punctuated with occasional technological advancements (that mostly allow us to be terrible to a greater degree). Thinking about brand history is timely because of the shift in how organizations communicate with customers. We talk about this as a shift from monologue to dialogue. Once upon a time an organization could broadcast a message via mass media. Now, communication happens both ways. Once you cite the high points of your history there will be someone there to remind you of the low points. We have clients dealing with complex histories. For now, I will look at our industry. I will dump us into the broader category of marketing because there wasn’t always a historical distinction between design, branding, advertising, and marketing. Ultimately, I think design adds value. This TED Talk that does a better job articulating it than I could. However, like anything, if it can be used for good it can be used to more sinister purposes. Design has been used to further the reaches of fascist states, entrench sexism, and further racist attitudes. We are implicit in the promotion of homophobia. Our industry has designed and built throwaway things that pollute our planet. 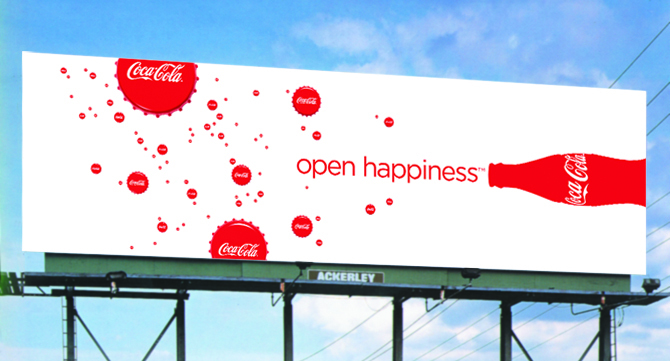 You have seen ads so cynical as to say that drinking Coca Cola will make you happy. We have green-washed the despoliation of our planet with a smile. In fact, it could be argued that our industry is at least partly responsible for our current psychological state of affairs. We always want more, but the more we have the less satisfied, or happy we are. Maybe that is just human nature. But, advertisers’ posture towards body image and status certainly magnify and exploit the trait. The question is: How do you deal with this productively? First, we have to acknowledge that we have a problem. Once we do that, we have to tell people how we are going to fix it. This happened to Nike in the 90’s when problems of globalization came to light. They responded by acknowledging the problem and publishing their successes and failures publicly. We are constantly working to make less stuff people want to throw away. We are fumbling through ways we can be more equitable. When referencing the high points, fess up to the low points, too. You don’t need to have everything figured out if you are honest. If you are profiting from someone else’s intellectual property (even if it was theirs before they were able to own property) give them credit and compensate them appropriately. This is especially common in music from Elvis to Led Zeppelin to Macklemore. Because it doesn’t matter what you say if your business practices don’t back it up.